Kim Coe earned her Bachelor’s Degree in Education from Baylor University in 1991 and her Master’s Degree in Educational Psychology from Baylor in 1994. In 2009 she completed her Principal’s Certification through Stephen F. Austin State University. Her educational career began in 1991 as a first grade teacher at Mountainview Elementary School for Waco ISD. After teaching first grade for 3 years, she remained at Mountainview for another 4 years but in the capacity as counselor for grades Kindergarten through fifth. Since leaving Mountainview in 1998, she continued her career in the counseling field with her last 8 years as counselor at Whitehouse Junior High School in Whitehouse, Texas. Mrs. Coe remained with Whitehouse ISD and became an assistant principal in 2008 at Brown Elementary School and Holloway Middle School working with pre-kindergarten through sixth grade students. In the summer of 2009, her husband, Rocky, and their two sons, Kameron and Karson, relocated back to the Waco area where she joined the China Spring Cougars as an assistant principal at the middle school. 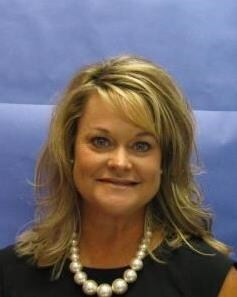 On January 3, 2011, Mrs. Coe became the principal at China Spring Elementary School. In Mrs. Coe’s spare time she enjoys spending time with her family, attending her sons’ sporting events, spending time with her three sisters, cheering on the Baylor Bears and Red Raiders, and being outdoors.